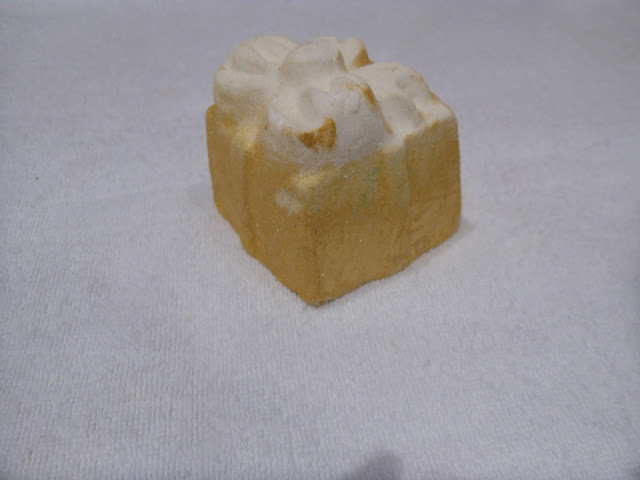 Lush - Golden Wonder Bath Bomb. 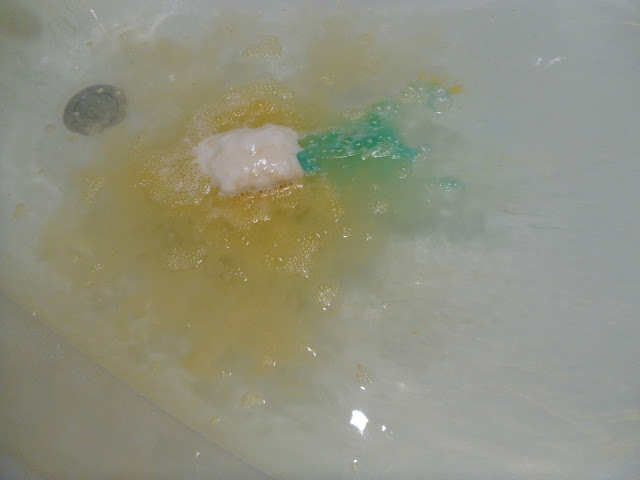 This bath bomb has to be my favourite that I've tried so far. It really is like watching one of your Christmas presents unwrap. As each layer has something different to offer, such as the golden lustre, colours, fizzing/foaming and the little gold stars - which are super cute. Lush have made my bath time the most favourite part of my day. I get right excited when I pop in new ones that I haven't tried before. It's kind of magical. The scent of this bath bomb is mainly an orange scent that comes through, but after a little research I found out that it contains cognac oil, orange oil (which explains it) and lime oil. So it's quite a fruity one, which I really enjoyed. I wish they would release one that smelt like the Yankee Candle in Bahama Breeze, its kind of like a Hawaiian scent that has a lot of pineapple in it or the Fluffy Towels one. Me and my obsession with the smell of clean washing is becoming a little out of hand. I should just pour some comfort in my bath? haha! (jokes). 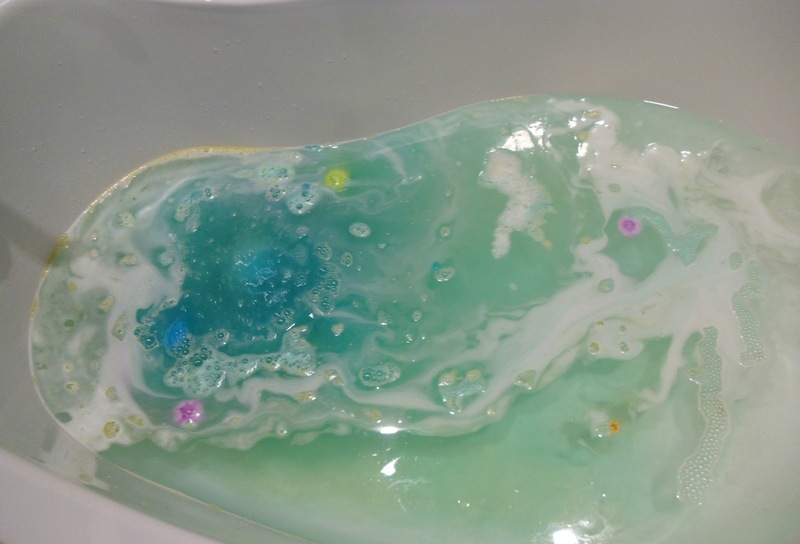 It's quite a big bath bomb which does take a while to dissolve, which makes it more fun. I'm always disappointed when they are over with in a flash. I tend to get more excited than my little brother when we are watching them. This one only cost £3.50 which isn't too bad. Just look how pretty the water turned out in the last picture though, It's made the water a really nice turquoise with lots of gold glitter in it (I pretended I were in Bora Bora in a little hut). The stars end up dissolving, but they do last a pretty long time. Have you tried Golden Wonder before? 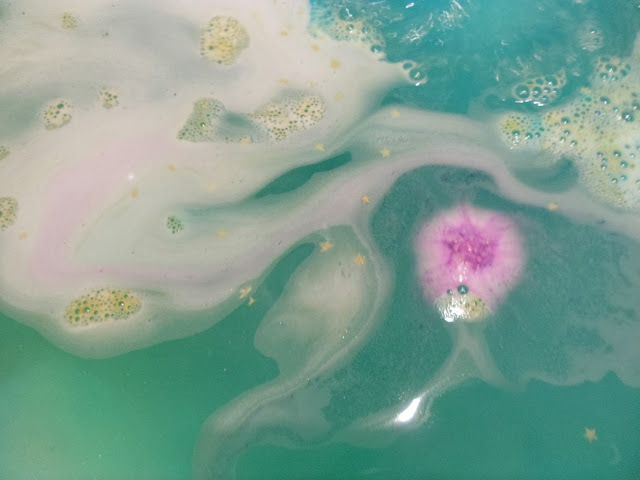 I was thinking of getting some bath bombs for my nieces for Christmas, to add to their little Christmas boxes. Do you think they would like them? Ahh so pretty! I think I need to treat myself to a lil lush bomb soon. 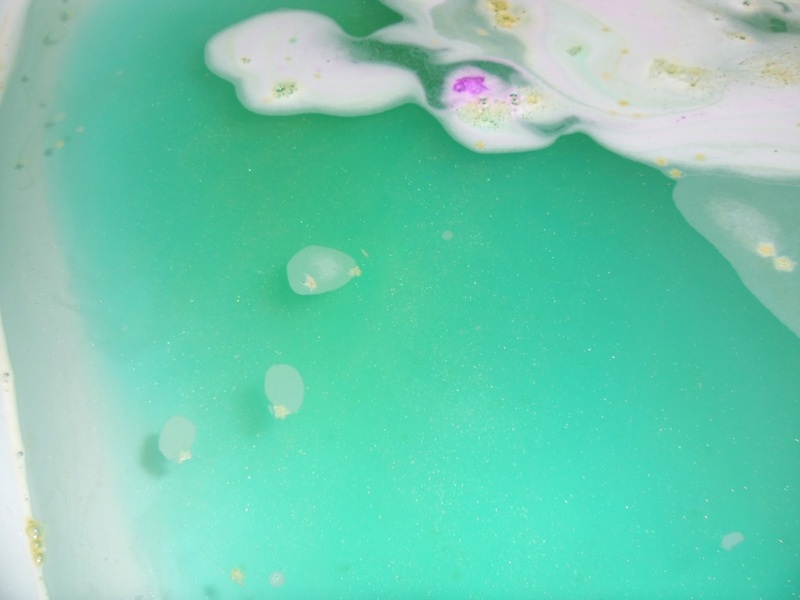 I think I need this bathbomb in my life, it looks so pretty! This is like some kind of mermaid lagoon, love it! Shine Like A Celeb - Diamond Sparkle. 50 Random Facts About Me | Tag.